“Team Six” Athletes in 2003 were holding 20 squats for all rounds of Tabata Squats and completing the entire workout in twenty minutes. Thats legit! 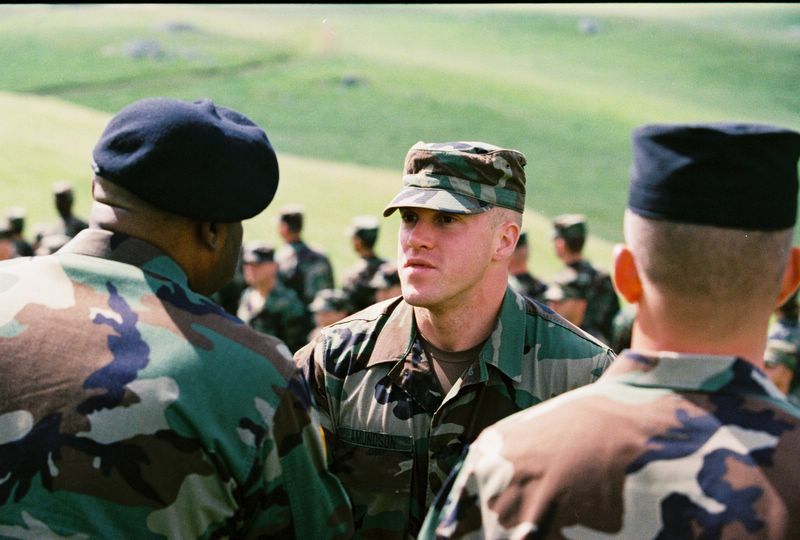 Greg Amundson during Army Officer Candidate School (OCS) in 2006. Greg was recently selected by the Department of the Army for promotion to Captain. This one doesnt look too bad, but those are the ones that hurt the most. Will report back with time soon. This one might sneak up on you Richard! Let me know how it goes and have a great workout. Alterations I must confess to due to lack of equipment. I subbed muscle ups for bench dips and inverted rows. I did 4 of each for every 1 perscribed muscle up. I also do not have a GHD. So I did a sit up variation (lying flat on floor legs out, hands by ears. Bend Knees and bring towards chest, at the same time as your crunching your upper body up. So elbows should meet knees in the middle.